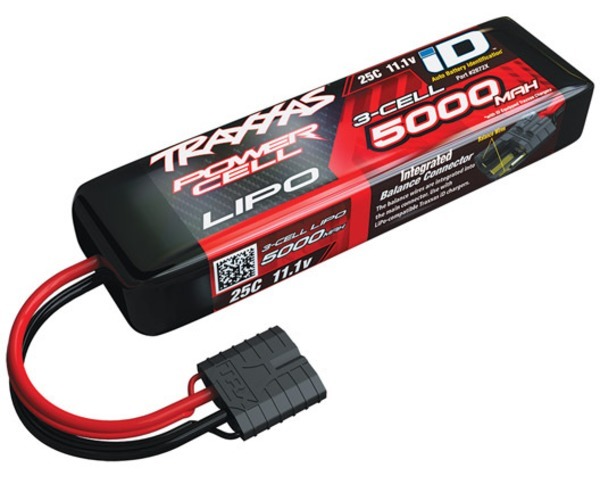 This is the Traxxas 5000mAh 11.1V 3C 25C LiPo with iD Technology. Semi rigid construction does not require a hard case and eliminating wire harness connectors that can loosen and fail. 12AWG multi strand wire is soldered directly to the LiPo cells eliminating increased resistance from the bullet connectors and accidental reversed polarity connections. Engineered specifically to fit Traxxas models.